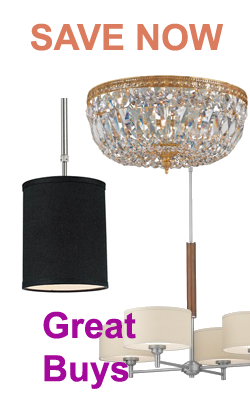 Shop all types and styles of wall lighting fixtures with crystal drops and metal back-plates. Create an amazing look in your living or dining area by adding single light wall sconce to your walls. Sconce lighting is available with LED or incandescent bulb types that bring different wattage options. LED sconces are available with warm 3000K or bright 5000K led bulbs.